Calculates fluid requirements for burn patients in a 24-hour period. Use in adult patients with burns. Children have larger TBSA relative to weight and may require larger fluid volumes. Overly aggressive fluid resuscitation, termed “fluid creep”, is well documented in critical care literature. Factors that may lead to fluid creep include lack of physician observation of endpoints (i.e. urine output), increased opioid use and the emergency nature of goal-directed resuscitation. Patients with inhalational and electrical burns, as well as children and the elderly, may require more or less fluid resuscitation than is predicted by the formula. The Parkland Formula has been endorsed by the American Burn Association. It has been shown to appropriately restore intravascular volume and limit the development of hypovolemic shock. Rule of 9's for Adults: 9% for each arm, 18% for each leg, 9% for head,18% for front torso, 18% for back torso. Rule of 9's for Children: 9% for each arm, 14% for each leg, 18% for head, 18% for front torso, 18% for back torso. It is important to remember that all resuscitation formulas be used as a guide. Patients should be assessed frequently, with individual adjustments made to maintain adequate organ perfusion. Urine output: 0.5 mL/kg/hr urine output in adults (50-100cc/hr) and 0.5–1.0 mL/kg/hr in children <30 kg. Heart rate: HR<110 in adults usually indicates adequate volume. Narrowed pulse pressure provides an earlier indication of shock than does systolic blood pressure alone. Monitoring blood pressure by arterial catheter is superior to cuff pressures because of interference of tissue edema. Radial artery is the first choice, followed by femoral artery. Serum lactate is a strong predictor of mortality, and trends can be utilized to determine hemostatic status however, it should not be used as an independent predictor of adequate fluid resuscitation. Give 1/2 of total requirements in 1st 8 hours, then give 2nd half over next 16 hours. Give 1/2 of total requirements in 1st 8 hours (time from when the burn occurred), then give 2nd half over next 16 hours. The Parkland Formula is a validated and effective approach to initial fluid resuscitation in the acutely burned patient (Baxter 1974, Cartotto 2002, Blumetti 2008). It was developed by Dr Charles Baxter at Parkland Memorial Hospital in Dallas, Texas. Baxter CR. Fluid volume and electrolyte changes in the early post-burn period. Clin Plast Surg 1974;1:693–703. Cartotto RC, et. al. How Well Does The Parkland Formula Estimate Actual Fluid Resuscitation Volumes? Journal of Burn Care & Rehabilitation. 2002. Volume 23, Number 4. DOI: 10.1097/01.BCR.0000020449.78548.E0. 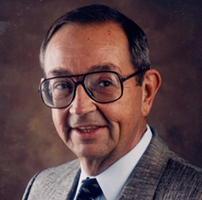 Charles R. Baxter, MD, (d. 2005) was the director of the emergency department at Parkland Memorial Hospital in Dallas, Texas. He founded the Parkland Hospital Burn Unit and was an active researcher, making advances in the treatment of burn victims and trauma procedures. Dr. Baxter was also one of the physicians who unsuccessfully tried to save John F. Kennedy after he was shot in 1963.